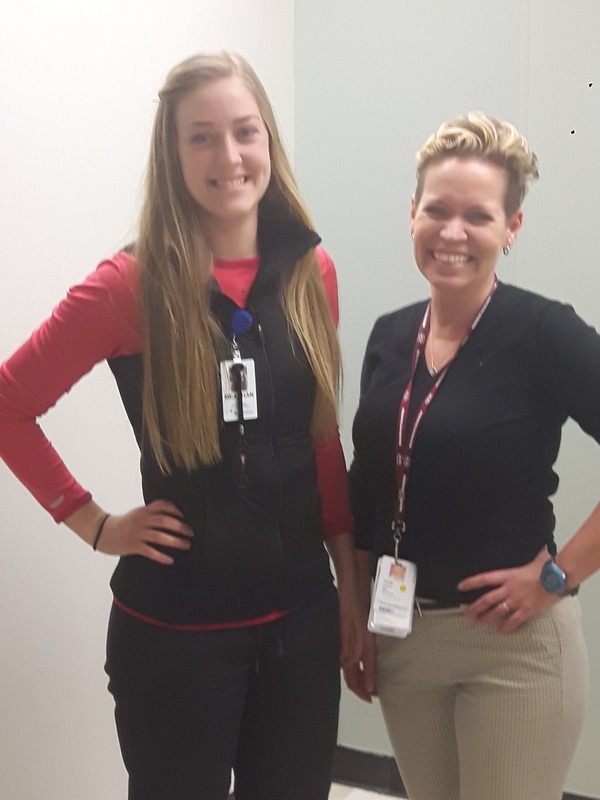 Cindy, a nurse at Stevnson for 18 years and Meaghan, a Registered Kinesiologist, run the cardiovascular rehabilitation program at SMH. The program is for patients who have suffered a major cardiac event or anyone who is at risk for one, and it focuses on lifestyle changes, healthy behaviours, diet, exercise and emotional support. Thank you to Cindy, Meaghan and the wonderful team of volunteers in our cardiovascular rehab program for healing hearts and improving lives.